Cool weather need not be a reason to avoid getting out in the great outdoors to go camping. Our bodies require more calories in the cooler climate of spring and fall though, and some favorite calorie dense comfort foods can be cooked over a campfire with a just a few pieces of gear. Put dough in an oiled mixing bowl, turning so it’s oiled on all sides, and cover with a damp towel or plastic wrap. Let rise at room temperature until double, about 1 hour. Punch down dough; knead a few times on a lightly floured work surface. Roll into an even 12- by 24-in. rectangle. Make filling: Spread butter on dough. Combine brown sugar, cinnamon, raisins, and walnuts; sprinkle evenly over dough, leaving a 1 1/2-in. strip clear along the top long edge. Roll up, starting at other long edge, and pinch seam closed. Cut log in half crosswise. Using paper towels, oil inside of a 2-gal. resealable freezer bag. Put half-logs inside, leaving some space between them, and seal bag. Freeze until solid, at least 6 hours and up to 1 month. Transport frozen dough in a cooler up to 1 day before baking. Remove logs from bag, ideally while still somewhat firm, and cut each crosswise into 6 slices. 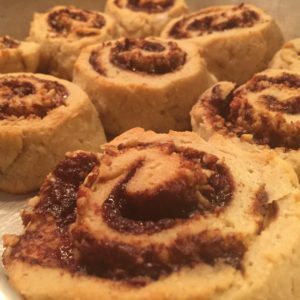 Finish rolls: Butter a 6-qt. dutch oven. Arrange slices cut side up in pot. Cover with lid and let rise in the sun until dough is puffy and holds a small impression when pressed, 1 1/2 to 3 hours. Meanwhile, prepare a fire (see “How to Bake in a Dutch Oven,” below). Bake rolls until they’re browned and a skewer inserted into bread comes out clean, 30 to 45 minutes. Remove pot from fire, uncover, and let cool about 15 minutes. Loosen rolls with a table knife. Mix honey and powdered sugar with 2 to 3 tsp. water; spread on top. Lewis and Clark brought one to the wilderness. So did the early pioneers to Utah (it’s now the official state cooking vessel). And so should you, because it means you’ll get to bake–and eat–carbs in camp. All you need is a 6-qt. camp Dutch oven (one with legs and a flanged lid; lodgemfg.com), some regular (not competition-style) charcoal and a chimney or hot embers from a wood campfire, and a heatproof spot like a fire ring or bricks set flat on an area free of flammable material; check your campground’s fire rules. Prepare the fire. If using charcoal: Light 50 briquets in a chimney and burn till they’re spotted gray, 15 minutes. If using a campfire: Scrape the fire to the side, level out a space the size of the Dutch oven, and mound the hot embers nearby (2 to 3 qts. worth). Lay a bottom ring of hot coals. The area of the coals should be slightly smaller than the circumference of the dutch oven. Put the oven on top and set the lid in place. Lay a top ring of hot coals. Use metal tongs to arrange a single ring on top of the lid around the lip. Evenly space a few more coals across the lid. Set any extra heated fuel aside. To check the food and temperature, lift the lid occasionally. Tweak the temperature. To decrease heat, scrape away some fuel. To increase heat, or to cook longer than 45 minutes, add 5 or 6 new coals to both the top and the bottom of the dutch oven (touching lit ones so they’ll ignite) about every 30 minutes. Juicy steaks, chicken, burgers, and hotdogs are great on the grill but you can make some delicious taste treats by grilling your fruits & veggies, too. They are a fresh option to add to a meal and it’s a good way to get the kids to get their fiber while they are here. You can grill pineapple rings or peach halves and then serve them with cool and creamy vanilla bean ice cream. The heat from the grill will caramelize the fruit and make it even sweeter. You can grill them as is or, as is done in the video below, you can add balsamic vinegar, maple syrup, black pepper, vanilla, and apricot preserves. Doesn’t that sound delicious? Kebabs are a way to grill your veggies and the kids love eating them off a stick. It’s just more fun that way. This recipe nice, fat mushrooms, sections of corn on the cob, and a variety of other veggies. Add some garlic, lemon, and lots of fresh herbs. It will be wonderful. Fresh fruits and veggies will balance the other favorites on your camping menu and they are so easy to prepare and serve. We hope you’ll give them a try and we’re looking forward to seeing you here again soon. Any outdoors activity will expose you and guests to insects. This includes your camping trips, drinks out on the patio, parties at the beach and barbecues. Most of these insects have germs that can cause illnesses. For this reason, you’ll want to have plenty of insect repellent on hand during your outdoor activities. Most of the over the counter remedies have strong chemicals that aren’t good for your health or your body over the course of time. For this reason, you’ll want to make your own healthier versions of insect repellent. Here you’ll learn some very effective homemade insect repellent recipes. There are some ideal essential oils out there that are very effective at repelling those vicious insects. Tea tree oil is one that works well against deer flies, ticks, and chiggers. If you’re out to alleviate black flies or mosquitos you’ll want to try some eucalyptus and lemon. Both of these work very well to help eliminate them. Another great remedy is peppermint oil and geranium oil blended together. Never apply full-strength essential oil on your skin, it may burn your skin and cause a serious allergic reaction. Always mix it with a carrier oil prior to putting it on your skin. It’s far better to use one essential oil at a time as you prepare an insect repellent. If you’re going to mix the scents always choose essential oils that are from the same family. Lemon and lemongrass go well together as do lavender and eucalyptus. Tea tree oil and clove oil should always be used alone. Another way to use lavender oil is to mix it with rosemary and peppermint oil to form your own version of an insect repellent. These are vital things to remember when you’re preparing your own versions of insect repellent. 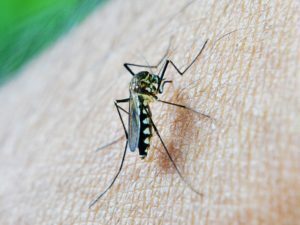 Thus, your camping trips, barbecues and your parties on the beach or patio will be far more enjoyable when you employ these techniques to avoid insect bites. You’ll learn to mix and match your own preferred versions of these as you go. Just mix them in a spray bottle for best results. 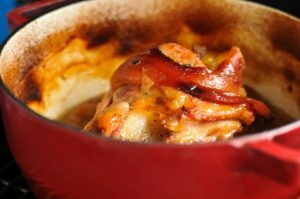 Dutch oven one-pot recipes are the perfect solution for all those who want to enjoy a good meal at home, but don’t have the time or the skills to cook it. When using one-pot recipes, you add all ingredients at once, so you don’t have to do anything else than peeling, chopping, dicing, and then setting the pot on the stove top or in the oven. If you don’t have an oven, the Dutch oven is exactly what you need to slow cook your one-pot meal. 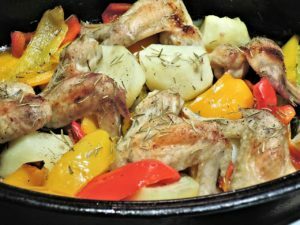 You can find lots of Dutch oven one-pot recipes online, either on YouTube or on special cooking channels for websites like The New York Times. There are also many bloggers who publish tried and tested recipes. Nonetheless, you should make sure you use popular food blogs, in order to avoid spoiling your meal. There are many small bloggers who don’t have the means to cook all the recipes they publish, so they tend to take some photos from Flickr or Pinterest, and use random ingredients and quantities. This is why you have to stick with the popular ones, as they wouldn’t risk their fame by publishing fake recipes. For instance, The Pioneer Woman, Simply Recipes and David Lebovitz are all famous blogs you can trust. These modern bloggers don’t have a lot of time, so they’ve adjusted their cooking style and their recipes to the hectic life we all live these days. If they can put all ingredients in a pot, add water and spices, and cook it over low heat until all juices and flavors are released, they are surely going to do it. Even better, they are going to blog about it, so you won’t lack inspiration for your own kitchen. Just make sure you do have a Dutch oven, as this is one of the tools you’re going to use a lot. It is not unusual for Americans to stick to certain foods when they are camping due to restrictions that can come with cooking over an open flame. Additionally, a major problem tends to be that they simply just are not thinking about their meals in advance and being creative. There are actually a number of things that are easy to cook while camping that will definitely spice up your meals. One of the easiest items to bring along on your camping trip are potatoes. They are one of the longest lasting vegetables that you can find and do not need to be refrigerated to maintain their appearance, which leaves more space in your coolers for other food items. When cooking them over an open flame one simply needs to wrap them in tin foil and poke holes into them so that steam can escape. With this method, you can have a baked potato in a short amount of time. You can also get rather creative as long as you bring a few additional items with you. You will need a heavy duty knife and a cutting board so that you can slice the potatoes. 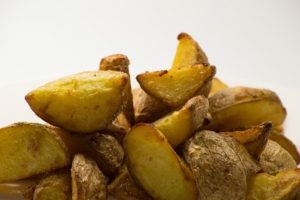 From there you can use whatever spices that you can imagine flavoring the potatoes such as dill, cayenne pepper, chili powder, basil, and oregano as well as butter or oil, whichever you prefer. Once you have seasoned them you will lay out tinfoil and place the potato chunks on top and then wrap the sides to the middle, creating a bag. From there you just heat them over the fire while cooking your meat to have a flavorful meal while enjoying the great outdoors. If you take some time and think creatively there are a number of ways to enjoy your favorite foods while camping. Keep in mind foods that store easily, like potatoes, and you will find there really is a lot of options available to you. Have you recently been to a grocery store and priced out a box of energy bars? 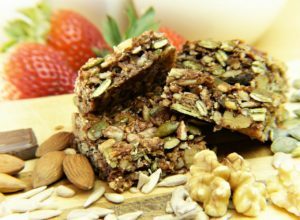 If you are outraged at the high price that is required for a few energy bars then you may want to consider making your own energy bars at home. In fact, not only will this save you money but it will be a great opportunity to spend some time with your children as they help you put together a variety of energy bar recipes. One energy bar recipe that your kids will truly love is a peanut energy bar. A peanut energy bar is delicious and nutritious because it is packed full of seeds, nuts, fruit, and peanuts. It is a great grab-and-go breakfast alternative for parents and children who are on a busy schedule. The recipe requires peanuts, sunflower seeds, raisins, rolled oats, rice cereal, and wheat germ. Another no bake energy bar that has delicious wholesome ingredients is the Mediterranean no bake energy bar. This energy bar is made with almonds, dried dates, spicy cinnamon, and flaxseeds. All you need for this amazing treat is a food processor. After you have mixed all of the ingredients in a food processor you can pour the mixture into a pan of your choice that is lined with wax paper. Press the mixture down into the pan, cover it with Saran wrap, and chill in the refrigerator until the mixture is hard. A unique energy bar that will be a big sensation in your home is the pear and ginger energy bar. This energy bar requires one pear, fresh ginger, flour, dried dates, walnuts, sunflower seeds, and ground flaxseed. Once again you will need only a food processor. Do the same process as you would with the Mediterranean no bake energy bar. All of the above recipes can be made easily at home but you can also make an energy bar of your own design by simply using your imagination. This cake in a mug trend is a fun one for camping. 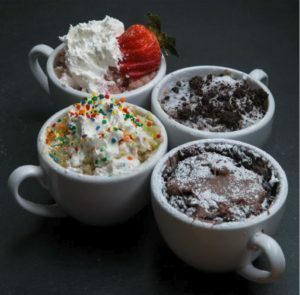 You can make a single-serving cake in a coffee cup and even choose which flavor you want. The kids will enjoy the whole idea of having their own little cake to eat as they sit around the campfire at night. It takes minutes to put together and will be a big hit. This one will be a favorite of many. All you need is some flour, sugar, baking powder, crushed sandwich cookies, milk, oil, and vanilla. This is as pretty as it is delicious. Bring some sprinkles along with you and let the kids decorate their own. It takes all the ingredients as listed above except the sandwich cookies. Even better than strawberry shortcake, this little delight will curb that craving for something sweet and your love of those delicious strawberries. You can top it with whipped topping and you’re on your way to a little bit of dessert heaven. For the hazelnut lover in the family. You’ll be adding the ingredients as listed above, along with some of your favorite chocolate hazelnut spread. The fragrance alone will be enough to call the kids back from the pool. You can make all of this even easier by pre-packing individual storage bags of the dry ingredients. Then, when camping, just open one into your mug and add the wet ingredients. Now you stir, microwave, and enjoy. You can find these recipes at 3-Minute Mug Cakes 4 Ways. So, go ahead and enjoy a single serving piece of cake. It will add that final touch to your next camping meal. The kids are going to love camping and they will get their share of treats while they are here. If you want to try and balance their snack intake with some nutritious options, we have some suggestions we’ve found along the way. A lot of people make their own and bring it from home. It’s a good way to control the amount of sugar that goes into the mix. You can add all your family’s favorites and they will enjoy it in place of other snacks you may be trying to curb. The blend of oats, nuts, seeds, and dried fruit in your granola will provide fiber and nutrients to keep the kids going strong. 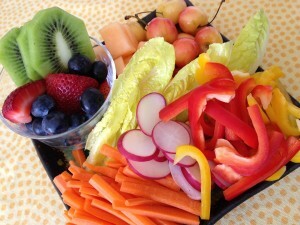 Kids will eat most veggies once they are cut and accompanied with a dip of some kind. You can offer low fat ranch dressing, hummis, yogurt with seasonings, or even peanut butter to go with them. There is just something about the dipping part of eating these that makes them more fun for the little ones. Fortunately, this is usually pretty easy to get the kids to eat and summer provides a bounty of choices. From sweet watermelon, apples, oranges, seasonal berries, kiwi, and pineapple, you have lots to choose from. Having a variety of these around to snack on will keep kids from getting restless before dinner. They are filling and delicious – exactly what you want to feed them when they are looking for a snack. Kids will run and play all day when they are camping and that means they will be working up an appetite. You can keep the snacking healthy while still allowing for the treats they plan on during vacation time. Some of the best camping memories we have come from the smells of our favorite food cooking over the campfire. That morning coffee that wafts around the campsite as we wake up, fresh corn roasting on the grill, and fresh-baked bread can be one of those memories as well. It’s really not hard to make fresh bread when you’re camping and Dutch ovens make it so much easier to do. The family will love sitting down to a meal with fresh, warm, toasty bread all ready for them to slather in real butter and sink their teeth into. All you need is flour, yeast, salt, water, and a Dutch oven. You combine the ingredients just like you do with bread at home and let it rise. You can punch it down once and form it into a ball, then slash it two or three times on top with a sharp knife. You’ll drop it into an oiled Dutch oven or some people like to use parchment paper. It can take a while to cook using this method. You may leave it in the Dutch oven for up to an hour and a half, depending on the heat of your coals. It’s a good opportunity to add things to the bread for a variety of flavor. You might like to try adding shredded cheese, garlic, rosemary, or even try new types of flour such as pumpernickel or rye. Another option is to flatten the dough and layer it with butter, brown sugar, and cinnamon then roll it into a loaf. The results will be a tasty cinnamon bread that will disappear in a single meal. You can also make the dough ahead of time at home and pop it in the freezer. Then simply let it thaw when you’re ready to cook at the campsite. 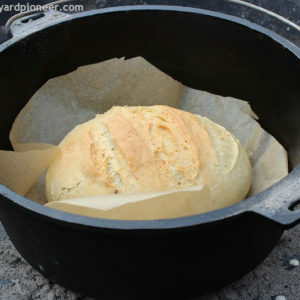 You can find this recipe and details for cooking the bread in your Dutch oven at Campfire Dutch Oven Bread. Camping meals provide time for families to catch up and enjoy time with each other. We hope all your camping meals are delicious and accompanied by the friendly faces of the people you love most. Give this bread to try it really is easy to do and very rewarding. The crockpot is one of the most useful small appliances you can bring along when you are camping. We’ve always enjoyed being able to put dinner on in the morning, go to work, and come home to a fully cooked meal. This advantage is also the reason to bring one with you when you are camping. There are multiple meals that are perfect around the campfire and you won’t have to spend time preparing. It’s a great answer for those who want to spend more time with family and less time with meal prep. The traditional meals such as Chili, Stew, Goulash, Soup, and even Pot Roast work very well as meals when you are camping. But there are lots of unexpected meals you can try for a little variety. You’ll be adding ground beef, uncooked shell pasta, some tomatoes and seasonings. Mix it all together and go play some mini-golf. Dinner will be ready when you are. These are as pretty to look at as they are delicious to eat. Use the traditional stuffed pepper ingredients but then you’ll be dropping them in the crockpot to finish. It’s easy, fast, and a big hit with the family. You won’t miss take-out when you can make this for the crew. It really is simple and will feed quite a few people. Be careful, the neighbors may start dropping in to find out what smells so good. These are just a few possibilities you can create with your trusty crockpot when camping. You can find more recipes to try at 30 Easy Crockpot Meals. We look forward to seeing you around the campground and finding out what you like to cook when you are here.